Did you know that out of the thousands of islands in the world nearly one hundred of them function as their own autonomous and independent countries? Many fly well under the radar of travel-happy tourists, but just because you’ve never heard of them doesn’t mean they aren’t worth visiting. In fact, it’s quite the contrary. The lack of awareness and tourism in these island nations is what makes them so pristinely special. Read on to discover six islands you never knew existed, but are totally worth a visit. This archipelagic nation, made up of 500 islands, lies well off the east coast of the Philippines in literally the middle of nowhere. Palau is a tropical island getaway destination in the truest sense of the phrase. Its strong focus on eco-tourism massively contributes to it being crowned a prime swimming, snorkeling, scuba diving hotspot. Palau is one of the best places in the world for diving thanks to crystal clear waters, abundant marine life, and super healthy coral reefs. 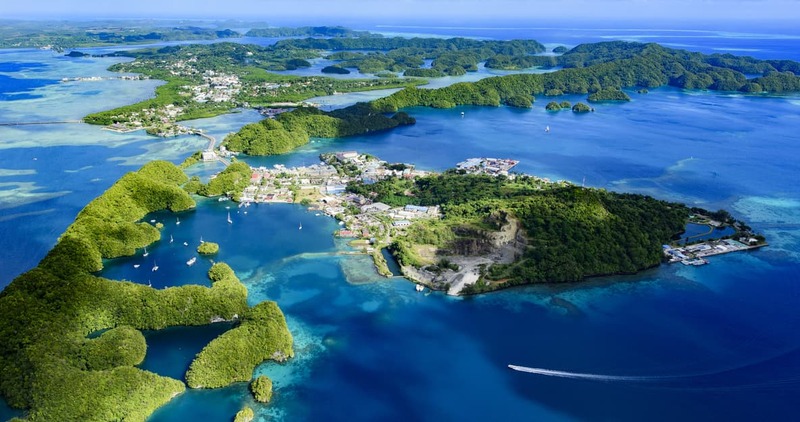 Housing the tallest waterfall in Micronesia and loads of significant world history, Palau is a paradise that can be enjoyed by travelers with a variety of interests. This Southeast Asian nation has only been officially independent from Indonesia since 2002 thereby making it one of the youngest countries in the world. Prior to that, it was a territory of Portugal. Clearly the external cultural influences are strong, making Timor-Leste a fascinating place to visit. While it’s still clearly a developing country, the waters and coral reefs surrounding the area are absolutely untouched. The capital, Dili, is a great place to lounge on uncrowded white-sand beaches, enjoy a beach BBQ, or learn about the country’s struggle for independence at the Resistance Museum. Hiking Mundo Perdido, snorkeling at Atauro Island, or cycling the rugged terrain round out the activities. Tourism isn’t booming yet - but it will be as soon as the secret of Timor-Leste gets out! Heard the name before, but can’t say with absolute certainty where it is? You’re not alone. Many Europeans probably know of (and have vacationed in) Malta, however the rest of the world’s population might not be able to point it out on a map. Malta, composed of Gozo, Comino, and Malta proper, is a nation off the coast of Sicily in the Mediterranean Sea. Nature-enthusiasts love the rocky coastline and rugged landscape. The medieval architecture, 16th century fortress, and ancient cathedrals are enough to satisfy any history buff. Oh, and did we mention the underwater caves to be explored off Comino’s coast? What more could you want from a vacation? Brunei is one of the three countries laying claim to Borneo, the largest island in Asia. Brunei is tiny - smaller than the state of Delaware - but has an extremely wealthy economy thanks to its plentiful oil and gas reserves. Visiting this country is a totally unique way to experience a conservative eastern culture. As a ‘dry country’, the sale and consumption of alcohol is illegal. Luckily, there’s plenty to do and see that doesn’t involve booze. The Omar Ali Saifuddien mosque is a stunning sight, especially at sunset, and a boat tour is an excellent way to experience the authenticity and natural surroundings of the country. It’s also the best way to get a glimpse at the Sultan’s Royal Palace! Situated in the Persian Gulf, Bahrain is a 33-island nation that doesn’t get a lot of press. Fortunately for Bahrain-bound travelers, there aren’t many tourists in this area, boosting the likelihood of a 100% authentic experience. On the flip side, Bahrain hosts a significant expat population, creating a beautiful blend of cultures that can only be attributed to its international community. The rich history of the ancient Dilmun civilization, mouth-watering food culture, and unique natural attractions makes Bahrain pleasing to many different types of travelers. The ancient Tree of Life inspires, world-renowned live performers entertain, the local souks excite and, oh yeah - if you’re interested in buying pearls, this is the best place in the world. 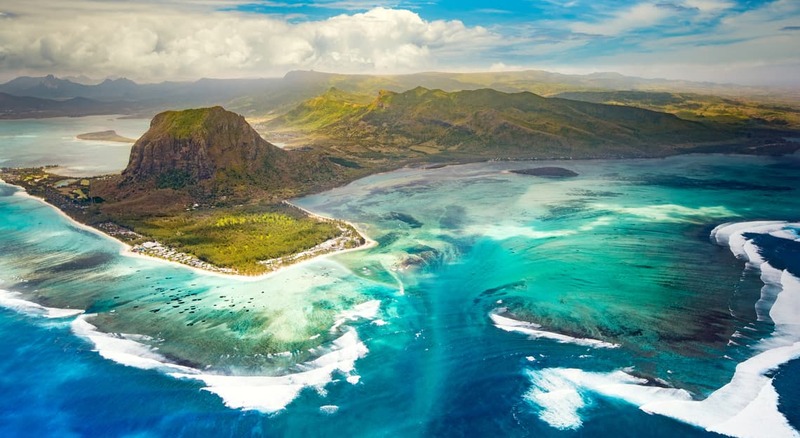 Off the eastern coast of Madagascar in the Indian Ocean, Mauritius is a tropical paradise about which Mark Twain said ‘Mauritius was made first, then heaven…’ This has yet to be disputed by any visitor who’s made their way to this island’s exotic shores. Beach lounging, snorkeling, and scuba diving in the clear waters is a favorite past time of many. Head inland and you’ll find the mountain settlement of Hamlet which houses a stunning waterfall and sprawling areas of unspoiled nature. Other funs things to do include swimming in the volcano crater lake and browsing the posh shops at Le Caudan Waterfront. Tip: eat often - the variety of fusion foods draws influence from Indian, Chinese, French, and Creole cuisines and is divine. Fiona is an island-life loving Dive Master, traveling the globe and exploring as much of the world as possible. When she’s not scuba diving, she’s writing about her adventures and sharing them with others.